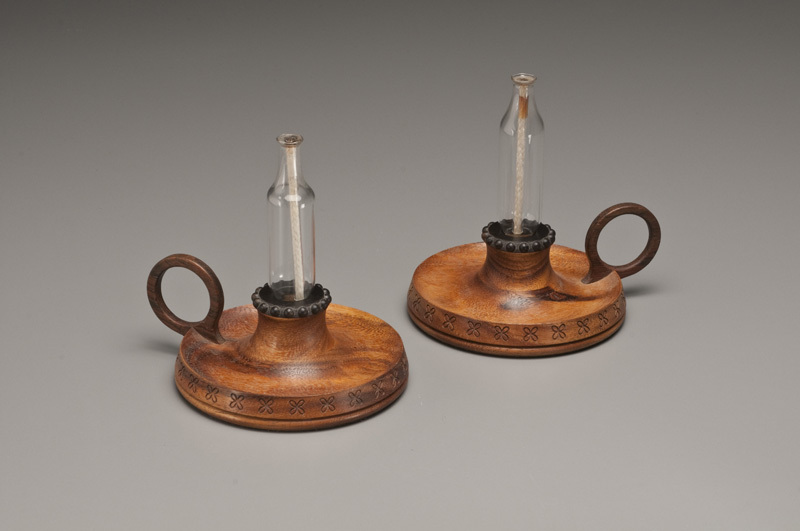 In the 17th and 18th century, ornamental turning was a popular pastime in the homes of European royalty. European kings did it, including Tsar Peter the Great of Russia; the Prussian Kings Frederick III and IV; Louis XV and XVI of France; and the kings of Denmark. Both men and women practiced the art. European museums are full of gorgeous, delicate works made on ornamental lathes from ivory, wood and other precious materials. These treasures were shaped on simple lathes, then attached to ornamental lathes where metal cutters slowly etched and pierced elaborate designs on the interiors and exteriors. Ornamental turning (OT) is a historic and complex art form wherein artists must configure and master their precise machines, their elaborate cutters and rosettes, and the materials which they select for ornamentation. Today it thrives in the UK and the United States where organizations facilitate the art, respectively the Society of Ornamental Turners (S.O.T.) in the UK, and Ornamental Turners International in the US. 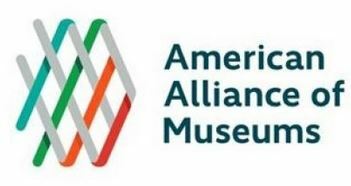 Websites and bi-annual meetings provide networking, technology sharing, instant galleries and healthy competition. The ornamental turning of Walter Balliet, of New Jersey, and his OT friends, exemplifies the proficient technical and artistic skills required of contemporary ornamental turners. Over a lifetime as a tool and die maker, Balliet has shared his imagination and skills with turners such as Dale Chase, Frank Knox, and Daniel Brush, all of whom became famous in their own right. Behind the scenes, Balliet built himself a Holtzapffel lathe with complex rose engine and oval attachments, numerous cams and cutters, and geometric chucks and cutting frames, including one designed to follow elliptical shapes. All the while, he delighted in designing and making cutters and tools to facilitate the designs of his OT friends. These professional collaborations and friendships resulted in Walter Balliet’s large collection of ornamental turning. Recently donated to the Wood Turning Center’s museum collection, the Balliet Collection reflects decades of meticulous experimentation and collaboration by retired tool and die maker, Balliet, and his friends. These masterpieces include over eighty precious hand-size boxes by the late Dale Chase of California, the largest comprehensive museum collection to date. Other historic pieces, by Balliet and the late Frank Knox, are complemented by contemporary ornamental turning (OT) by Fred Armbruster, Paul Cler, and Gorst duPlessis. 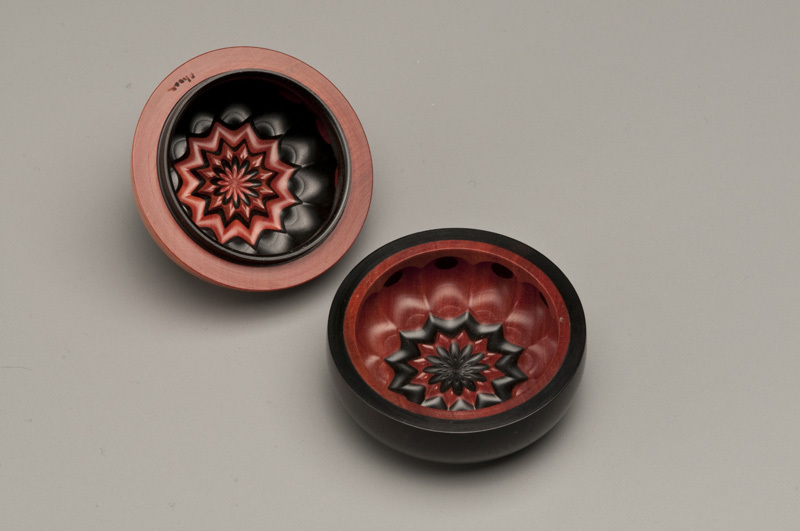 The experimental materials include over 25 varieties of wood including African Blackwood, Pink Ivory, and Bubinga, and jade, acrylic and precious metals. Walter Balliet graduated in 1935 from the Patton Masonic Trade School in Elizabethtown, PA. He commuted to Philadelphia to work at Westinghouse Electric, then at Bridge Tool and Die Works for 33 years. At Bridge, he led the task to develop the M-16 machine gun over ten years. Intended for the Korean War, it was used prolifically in the Vietnam War. Half of the pieces in the Balliet collection were made by him; working with others stimulated his innovations in tools, cutters and design. 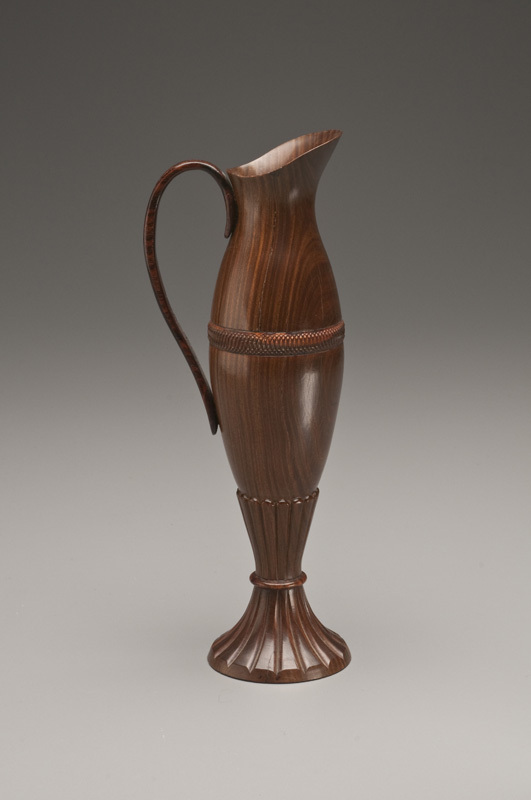 Walter Balliet discovered ornamental turning in the Fall of 1976, in the 4th issue of Fine Woodworking Magazine. 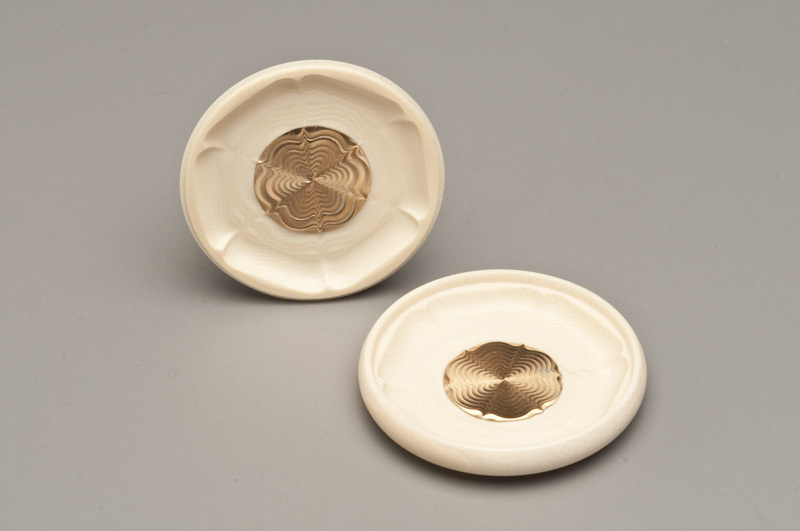 John Kelsey’s article on ornamental turning included work by Frank Knox. Based on his tool and die making skills, Balliet told himself, “I can do this…”. With drawings from the original Holtzapffel books, he built an ornamental lathe in his basement. When he met Frank Knox and saw his Holtz machine, Balliet discovered he had built his lathe at 2 times the scale (since the Holtz book provided no measurements or scale). Balliet next observed OT directly at the Wood Turning Center’s 1987 International Turned Objects Show (ITOS) in Philadelphia, PA. He was particularly intrigued by the work of Dale Chase. They met at the exhibition and this led to a collaboration and friendship that spanned two decades. From 1988 through 2006, Balliet and Chase talked almost daily and used the mail to expedite their exchange of ideas, designs, tools, cutters and products. Every time Balliet made Chase a new cutter or tool, Chase sent Balliet a box showing the magnificent results of their collaboration. Only Chase’s untimely death in 2007 halted their collaboration. Now in his mid-nineties, Balliet lives independently at home. Based on interviews with Walter Balliet between 2008 and 2011 and Mrs. Charlene Chase in 2011.